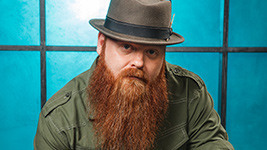 Ink Master | Season 3 | Jason Clay Dunn. . Wallpaper and background images in the Ink Master club tagged: photo ink master season 3 promotional shoot jason clay dunn. This Ink Master photo might contain fedora, chapéu de feltro, homburg, stetson, mole, trilby, and feltro.